Ancient City Walking Tours has created an easy-to-use audio guide for visitors who are planing a more relaxed stay in St. Augustine. 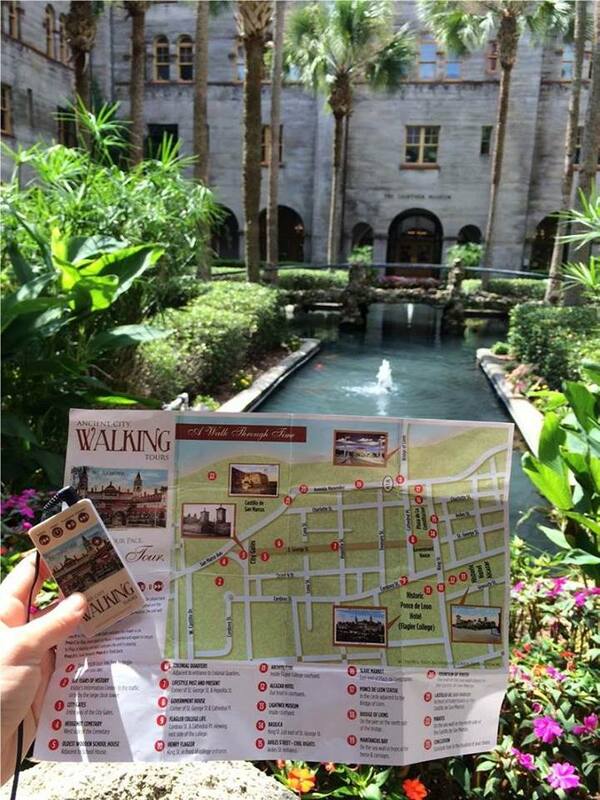 The self guided tours maintain an informative backdrop of St. Augustine’s rich history while also providing a new level of convenience for visitors to the city. The greatest benefit to owning an audio player is that visitors can operate at their own leisure without feeling overwhelmed. After purchasing an audio player, visitors can revisit the experience whenever they want. 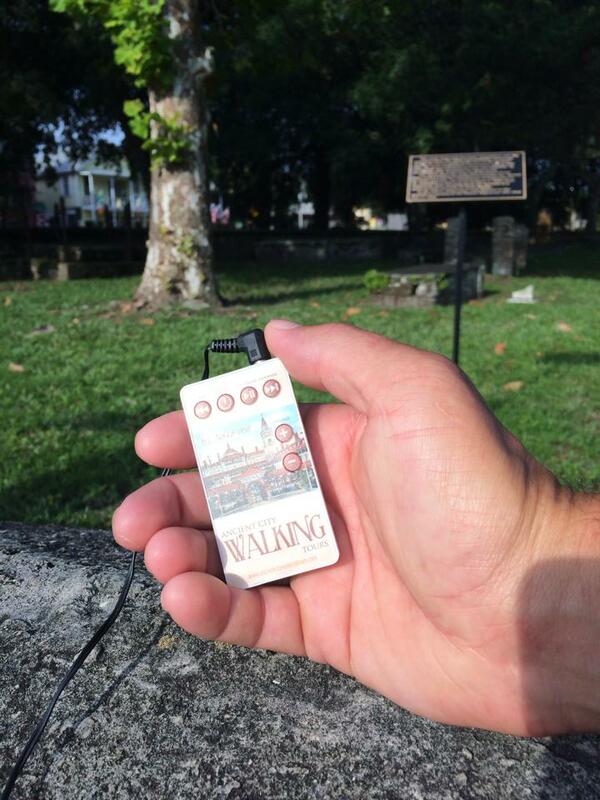 A map of St. Augustine’s historic district is provided to anyone who purchases the audio player. Special points of interest are spread across the downtown area. Famous landmarks such as Flagler College, the Government House, and the Lightner Museum are just a few of the stops on the tour. Visitors can now enjoy a greater sense of immersion as they stop by famous locations like the Castillo de San Marco and hear the cannon fire in the background while listening to stories and facts. Pricing: An audio player costs $16.00 (including sales tax) and can be purchased at any of the designated shops and stops on the map provided here. For visitors thinking about purchasing the audio guide experience online Paypal is an option (price includes tax and shipping costs). For online orders of 5 or more players, or for visitors interested in a delivery option with a discount on pricing please contact 904-679-2327, or visit here. Location: Players can be purchased from the numerous stops on the tour, but visitors can also visit the home office of Ancient City Walking Tours over at Anastasia Design Group, at 24 W Castillo Drive. Hours of Operation: The Anastasia Design Group is open Mon-Fri from 9 a.m. to 5 p.m.
Be the first to Review Ancient City Walking Tours!